Glowcare are accredited approved service agents for Jaguar boiler breakdown & repair. 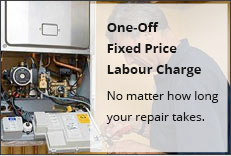 As specialists we would expect to resolve any broken, faulty or leaking problems in one visit. Our main work areas are Cheshire, Lancashire, Greater Manchester and Liverpool. In addition to this we cover many other local towns and cities in North West England. Glowcare have a reputation for quality and reliability, offering a fast and professional service to our many valued Jaguar customers. We work on all jaguar models, including 23kw and 28kw wall hung gas combination boilers. Please view our customer Testimonials page, to see how our services are rated.